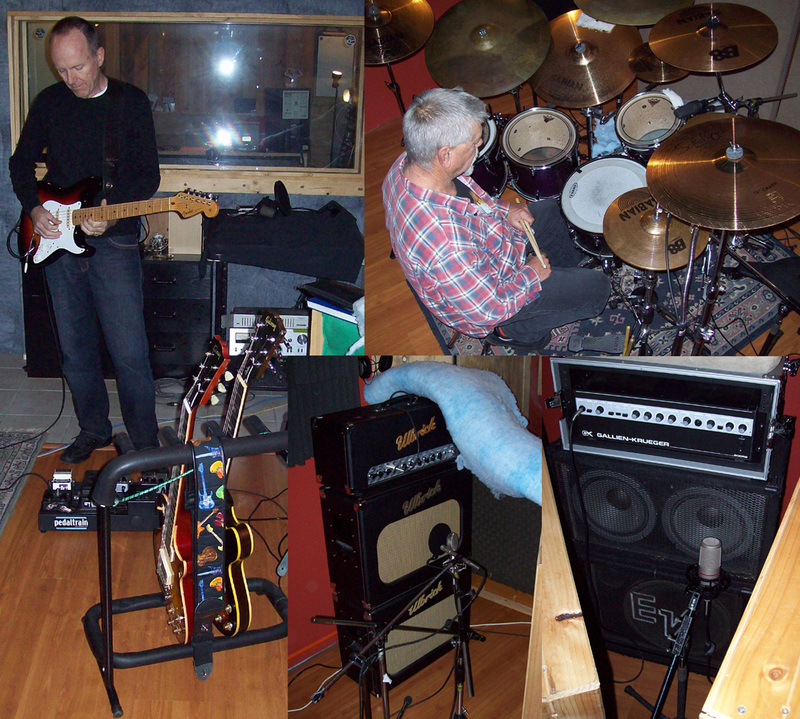 In this session I am both sides of the glass as I am recording my own band Empire Blues. This is our second album and long over due. The idea was to track all the Guitar, Bass and Drums over the long weekend as this will save set up time and also due to everyones busy lives making it hard to get all 3 of us in the studio at the same time. 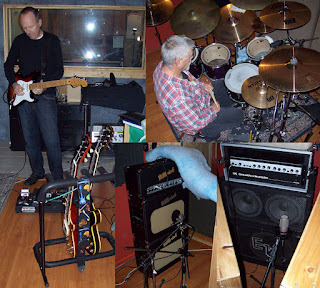 We tracked the guitars (Andrew McIlroy), bass (Alan Dawson) and drums (Frank Shinall) live together as the theme of our band is to sound like a British Blues band and that's how it was done back in the 70's, it also our favourite way to work as it brings out spontaneity. All in all we tracked 10 songs which included 2 that we learned on the day had had never even played before. We did no overdubs as we want a product that we can play live, however it is tempting to put a little Hammond organ on one of the tracks. We will be coming back into the studio over the next months to track vocals and do the mixing.